The Achilles’ tendon is the longest tendon in the body and attaches the calf muscles to the heel bone. It’s main purpose is to assist in pointing of the toes and is active during the propulsive phase of the gait cycle. Achilles Tendinopathy refers to inflammation and damage to the tendon and accounts for a large amount injuries sustained while running. It is important to recognise and treat this condition immediately as it is often a precursor to rupturing of the Achilles tendon. Pain will be worse at the start of exercise, and improve as exercise progresses. Palpation: Location of pain and thickness of band reveals the type of tendinopathy (midportion/insertional). Radiography investigations– X-rays can assess for a secondary bone spur or fracture of the heel, while an ultrasound or MRI can assess for enlargement, tearing or excessive inflammation around the Achilles band. Range of motion testing of the foot and ankle can also rule out a number of less common conditions. Condition is likely to also present with calf tightness and stiff range of motion testing. Single leg raise will replicate the pain or hoping on one leg. Heel Lifts: Placing heel lifts in your shoes will take the stress off the Achilles Tendon for immediate relief. 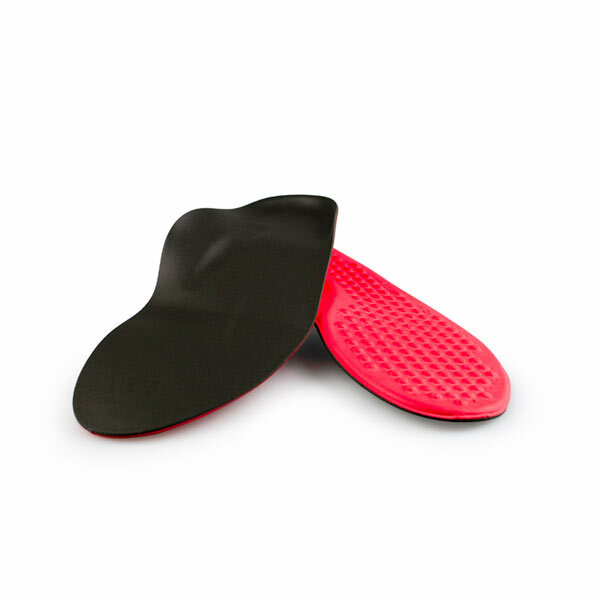 Orthotics: With the help of your practitioner, treating poor biomechanics with the use of an Interpod Orthotic will assist in realigning the foot, which will reduce the stress on the Achilles Tendon and aid in recovery. The orthotic achieves this by reducing the amount of overprontation (rolling inwards) during walking and running. Alfredson’s Painful Heel-drop protocol: Midportion Achilles Tendinopathy has been shown to benefit from a heel drop program performed over 12 weeks. The program gradually increases the load placed on the Achilles, which has been clinically proven to return patients back to their previous activity levels with greater success. Ask your practitioner for more information regarding this program. Stretching & Massage: Regular stretching and massage of tight calf structures to avoid stress on the Achilles. next post: What is Plantar Fasciitis?